Yes it was rumored and hinted at but now a rumor is picking up steam. The rumor says that Robert Downey Jr is in final talks to join the cast of Captain America 3, which if this happens then that means Marvel is getting ready to begin its Civil War storyline. According to the Variety “Captain America 3 will see Captain America and Tony Stark feuding over the Superhuman Registration Act, a piece of government legislation that mandates all those with superhuman abilities to reveal their identities to the United States government and work as police force for the powers that be. 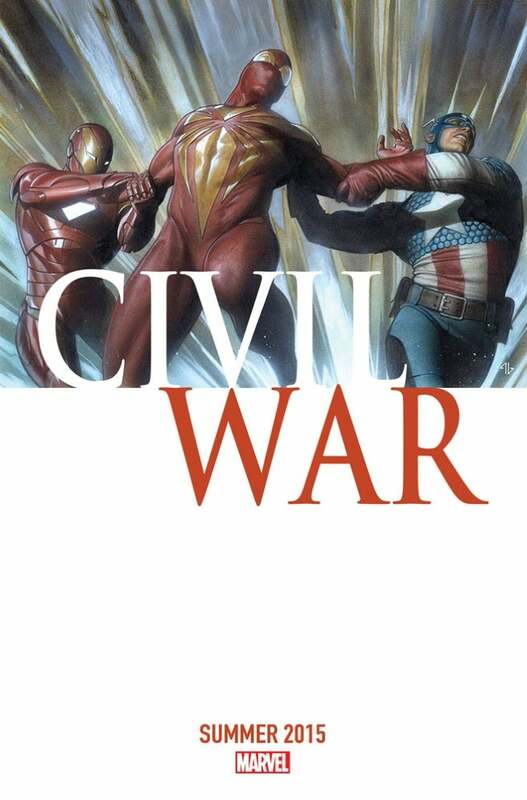 Stark is a staunch supporter of the program, but Steve Rogers opposes it on that basis that it threatens civil liberties” The Civil War Comic book was a seven part event written by Mark Millar in 2007, and In once Steve Rogers and Tony Stark began butting heads in The Avengers some believed this could be where we finally end up. Robert Downey Jr has been hinting at another Iron Man movie but saying it won’t be Iron Man 4 so it only makes sense that it be Captain America 3. According to Variety, Downey Jr will make $40 million on the backend and they are ready to move forward with Phase 3 of the Marvel Cinematic Universe following The Avengers Age of Ultron next year so the reports and rumors actually make a whole lot of sense. If you go back to The Avengers and Captain America the Winter Soldier you can start to see the pieces stack up to an eventual Civil War. First you have Stark and Rogers’s repeatedly butting heads in The Avengers, then you have Rogers starting to doubt Nick Fury and Shield during The Winter Soldier. These are subtle hints that maybe at some point everything boils over into something much bigger. Supposedly Cap 3 will get some set up in The Avengers Age of Ultron, but what that will actually entail is yet to be seen. Now you might be wondering why a civil war between Iron Man and Captain America? It’s actually a simple issue of overcrowding; Marvel has a heck of a lot of heroes being introduced whether it’s the recent Guardians of The Galaxy, or Ant Man or Dr. Strange. As they begin to add more to the roster there has to at some point be a time where one of these original characters moves on. Also Marvel is not shy to trying new things and attempting bold productions, this is a very bold move but one I can imagine a lot of people believe can work. Joe and Anthony Russo who directed The Winter Soldier will helm Captain America 3 and are also the favorites to take over The Avengers series from Joss Whedon.